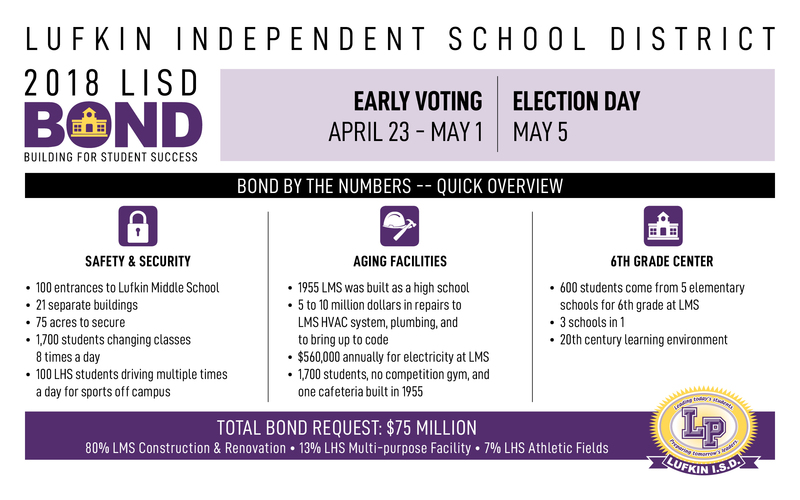 Thanks to the outpour of support from the community to build a new middle school, high school multi-purpose facility and high school athletic facilities, 75 million dollars will be used to make these projects a reality. Now that the bond has passed, what are the next steps? A Request For Qualification (RFQ) for an architect to design the projects is the first step. Last week, seven firms toured the facilities and collected information on what the design will be. The RFQ due date is Wednesday, June 6, 2018. This person will manage the projects internally. Maintenance staff is not equipped to handle a project of this size and continue the normal responsibilities of their job. 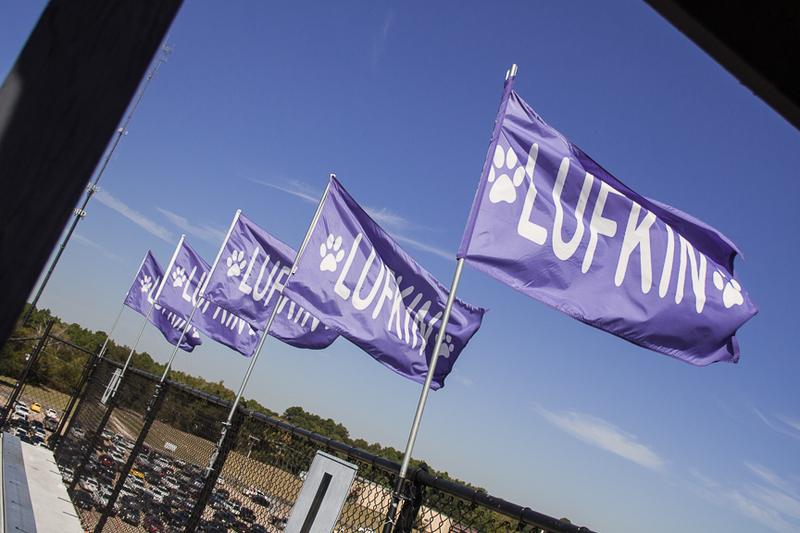 The District Facilities Construction Manager will be the liaison between the architect, construction manager, and Lufkin ISD Board of Trustees and administration. an interlocal contract, competitive bidding, competitive sealed proposals, construction manager-agent, construction manager-at-risk, design build, and job order contract. 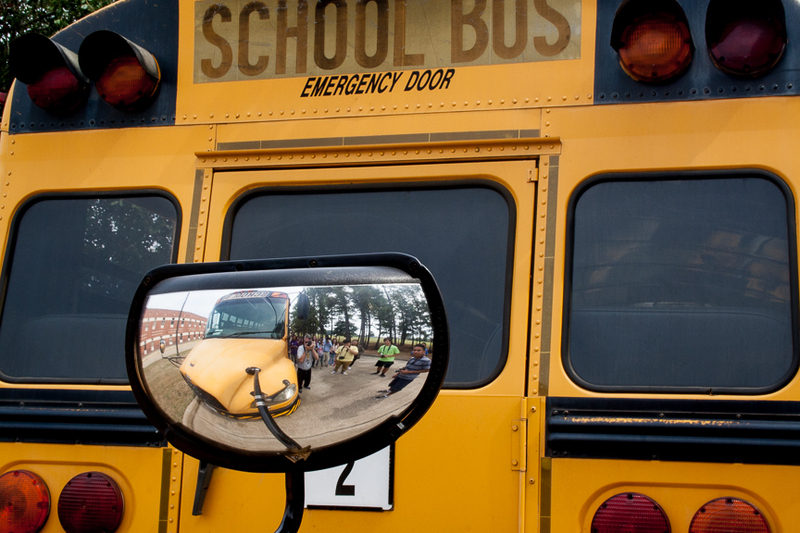 The method that best serves most school districts is construction manager-at-risk. 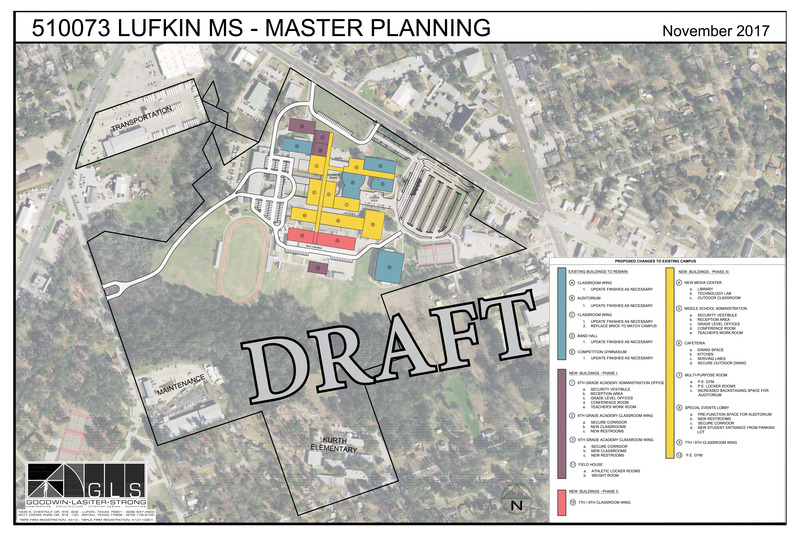 When the method of delivery is determined,the school district will issue RFQ’s. During the survey, the areas for construction will be determined including the location of the high school multi-purpose and athletic facilities. Focus group meetings will be held with the architect, administration, teachers, school board members and community members to begin the design. Site visits will be scheduled to other district for innovative ideas and construction design that will work for our project. The design phase should take approximately 6 months. 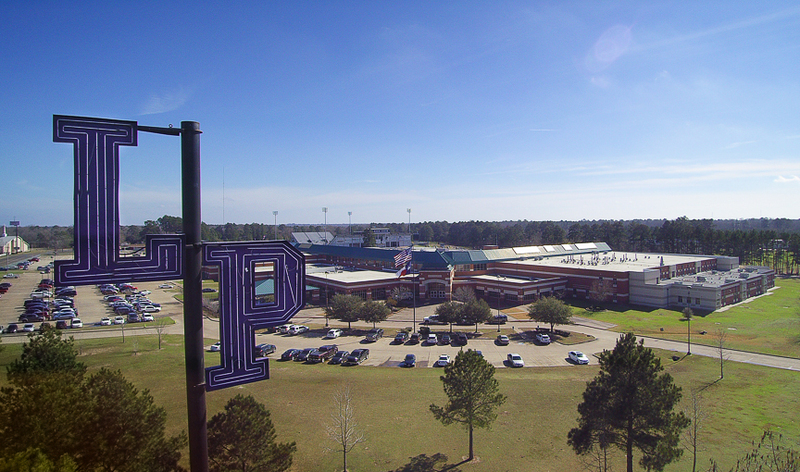 The middle school project can go on simultaneously with the high school projects taking approximately 2 and a half years to complete, and the high school facilities 18 months. April 23-24 — 8 a.m. to 8 p.m.
April 25 — 8 a.m. to 5:30 p.m.
April 26 — 8 a.m. to 8 p.m.
April 27-28 — 8 a.m. to 4:30 p.m.
April 29 — 1-5 p.m.
April 30 — 8 a.m. to 8 p.m.
May 1 — 8 a.m. to 4:30 p.m. Early voting dates and times are for all locations.